Hibernate Records have come up with the goods on a regular basis when it comes to intelligent and atmospheric instrumental music. One could say it’s quite a coup for them to be the chosen home for a new album featuring Hood members but maybe it’s those Hood members themselves who are the lucky ones, as Hibernate have taken them under their wing. 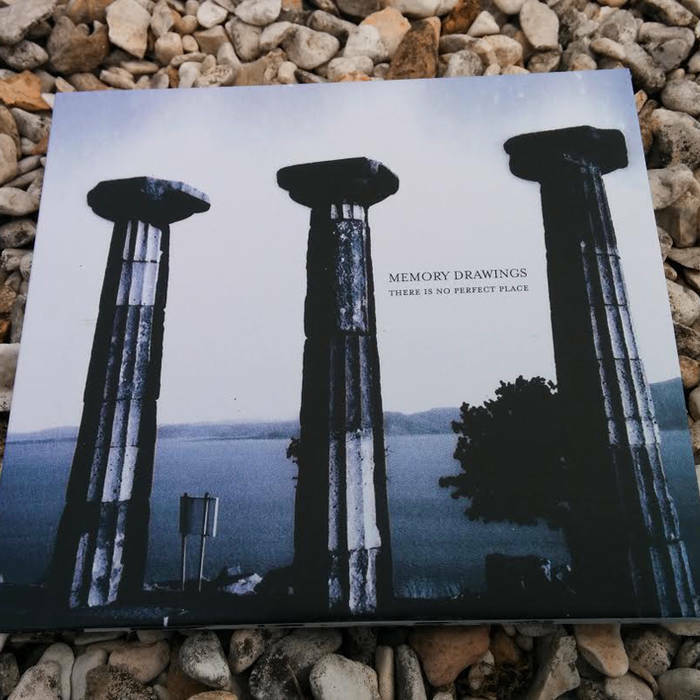 The Memory Drawings project boasts its own string section courtesy of cellist Florence Fawcett, Joel Hanson’s dulcimer and Sarah Kemp on violins. Add in Chris Tenz’s banjo too and you have the makings of a versatile chamber folk crew. ‘The Island Of The Day Before’ is possibly the closest we get to Hood territory. The backing players create that distinctive rustic environment and Richard Adams’ sighed vocal and doleful guitar add to the blissful despair which characterised much of Hood’s back catalogue. Meanwhile the drawn out percussion on ‘There Is A World Without You’ will immediately cast minds back to 1999’s morose classic ‘The Cycle Of Days And Seasons’. However, this is largely an album where the arrangements and interplay between the band members hold the key, rather than references to individual and past performances. Each wordless piece is a moving, achingly sad document, possibly to the ruins which dominate the album’s artwork, or perhaps just to life’s disappointments and regrets. Either way, it works. Even short fragments like the refined ‘I Could Live Like This Forever’, or a stately piano-led ‘In The House At Midnight’ make their mark on the soul and ‘Golden Afternoon’ manages to sound both merry and ominous at the same time. Most poignant of all, though, is the glorious title track which would have fitted perfectly on This Mortal Coil’s ‘It’ll End In Tears’. The album is bolstered by a bonus CD of re-works and alternate versions. The most impressive contributions including full-bodied re-interpretations from Ryan William Fitch and typically chilling offerings from both Talvihorros and A New Line (Related). There also some lovely female vocal-led re-workings too, including a take on the title track which is the equal of the original. 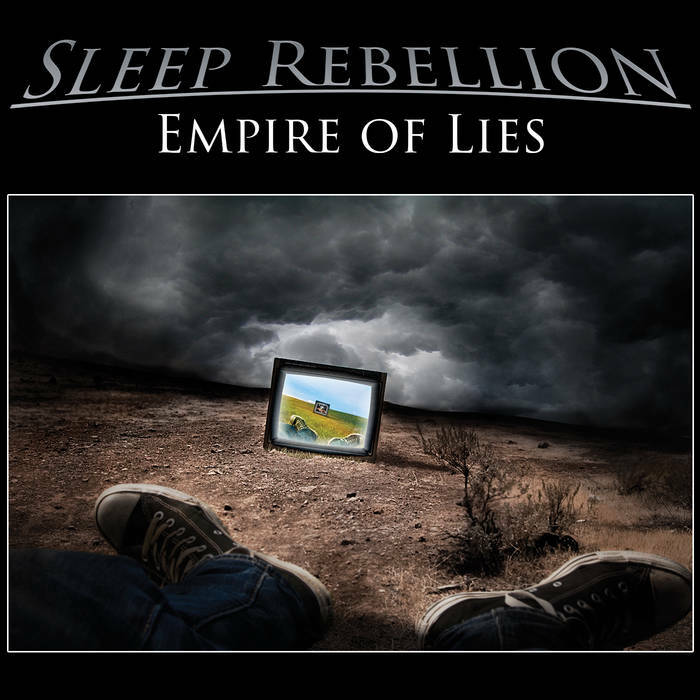 Portland’s Sleep Rebellion promise “libertarian sci-fi lyrics” within a new prog/hard rock framework. If that concept fills you with dread then it may be best to turn away now but the more broad-minded listener will be rewarded with a surprisingly melodic and durable album. The title track sets an early template for heavy post-rock guitars and mighty percussion. Guitars and drums are duly slayed although one of the most pleasing elements is Chris McGraw’s strident yet somewhat innocent-sounding vocals. Even better is ‘Dark Is Our Fear’ which comes across like a prog version of Ultravox’s ‘Hymn’; a portentous anthem concerning surveillance state society, complete with a powerful chorus. Granted there are moments of over-indulgence with showy guitar solos (‘Helicopter Ben’) and unnecessary keyboard solos (‘Transhuman’) which threaten to undermine some otherwise impressive songwriting but for the most part the duo of McGraw and Randy Hart stick to a formula which merits repeated plays. The unfussy ‘False Messiah’ makes a mockery of its six minute length with a lean, bruising, no-nonsense delivery, the synth-heavy ‘New Worlds’ is swish and energising and on ‘The Creator’ they could give Muse a run for their money. Furthermore, ‘The Agorist’ is rich and complex and the last song ‘Fearless’ is a defiant way to end the record (“Courage takes passion. Revolution takes persistence. So rise up, and join the resistance” sounds like a political call to arms at this time of year). Those melodramatic lyrics aside, ‘Empire Of Lies’ is a record to be taken seriously. Their music may belong to another time zone (hereafter referred to as the retro-futurist prog period perhaps?) but the duo have created an album of largely memorable sturdy rock anthems and there’s certainly no crime in that.